Precise, Inc. Sponsors Urban Hike to Support Suicide Prevention Efforts - Precise, Inc. Participants of Walkatop start their hike at one of the trailheads of Emerald View Park in Pittsburgh. September is National Suicide Prevention Awareness Month and Precise, Inc. is proud to support an organization with a mission focused on suicide prevention awareness. On September 16th in Pittsburgh’s scenic Mount Washington neighborhood, participants of the fourth annual WALKATOP hiking event will traverse miles of woodsy trails high above the city. The fundraiser supports The Thomas Brown Alton Foundation, which is dedicated to helping those in need toward improved mental health. Every year, several Precise employees and their families attend the event. 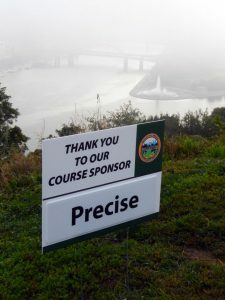 Precise is a course sponsor this year. We hope to see you there! 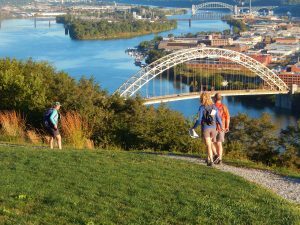 The fourth annual Walkatop is Sunday, Sept. 16th from 8 a.m. to noon. Advance registration is $20 through showclix.com. Admission on event day is $25 at check-in — at the parking lot on Grandview Avenue across from the Duquesne Incline station. Parking is free for the event.